For many years nutritionists have recommended a diet high in fruit and vegetables to keep us in good health. However, research now shows that the presence of fruit and vegetables in your diet is not enough. In addition to the quantity, it is the DIVERSITY in fruit and vegetables that is a key factor to healthy gut bacteria and in turn your overall health. Although I like to think I am reasonably “healthy”, I do know I often get lazy and stick to my old favs. Sooooo, Ive given myself a little challenge and as always I’m throwing it out to you all. 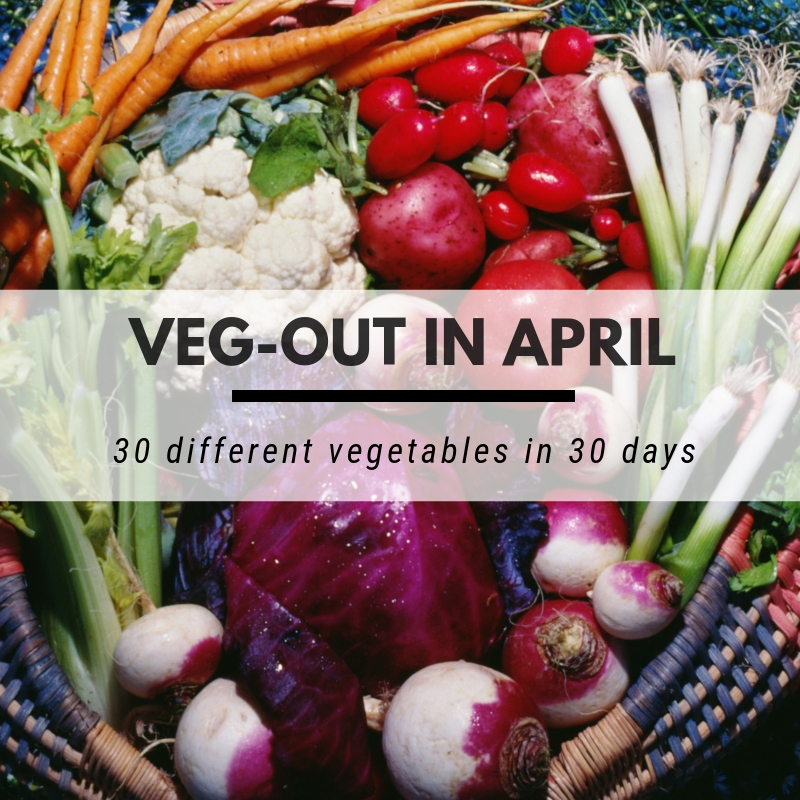 Throughout the month of April, I’m going to record my intake of vegetables with the aim to consume 30+ different types. So wants to join me? Comment “Veg-Out” below and Ill shoot you a copy of a little check list of veggies that I did for myself. You are welcome to print it and mark off each vegetable as you use them...You can also add in any extra ones that I’ve missed too.